Studying for and obtaining a TESOL certificate is one of the easiest and best ways to prepare yourself to start teaching English to adults and/or children. Independent TESOL courses, which include TEFL courses and TESL courses, are a "gateway to the field and profession of ESL/EFL teaching for those who have proficiency in English." Courses are offered by various institutions, including private schools and public and private universities, as well as online schools. a CELTA (Certificate in English Language Teaching to Adults). These acronyms can be a little misleading. The best teacher training programs, no matter what they are called, will not only prepare you to teach English as a Foreign Language, but also prepare you to teach English as a Second Language and vice versa. A CELTA course will usually also prepare you to teach children and not only adults. Some schools offer additional training and can also train and certify you to teach Business English, English for Special Purposes, or English for Specific Purposes. TESOL, Inc., an international association in existence for over forty years for Teachers of English to Speakers of Other Languages, provides these guidelines to consider when searching for a TEFL or TESL certification program. Offer a balance of theory and practice regarding pedagogy and methodology. Be taught by qualified teacher educators. Have a minimum of 100 instructional hours. This list is by no means exhaustive. These are just the minimum characteristics of a good TESOL certificate program. Another plus would be if the school offers job placement assistance, especially in the location where you would like to teach. Interestingly, accreditation is not one of the factors listed by this Global Education Association of teachers. Perhaps this is because they know that accreditation is difficult to evaluate. An accredited TEFL or TESL certificate course may or may not provide a better education or a more desirable TESOL certificate. When you have found a school that meets the minimum requirements above, it is important to research the school thoroughly to ensure that you are making the best choice for your particular needs, desires, and plans. Visit the school and sit in on a class, if possible. If you know specific organizations for which you would like to teach, contact the organization(s) and ask them if they have hired people from this particular school. If not, ask for recommendations of schools they respect and from which they have hired. The value of an on-site TESOL course cannot be overstated. Not only do you have an opportunity to ask questions on the spot, but you get to witness firsthand how to teach a class. You also have the benefit of interaction and networking with fellow students from whom you can learn and with whom you can exchange ideas. If you have no teaching experience at all, then I would highly recommend an onsite TESOL certificate course that includes a teaching practicum. There are numerous courses available all over the world. If you are thinking of teaching English as a Foreign Language, you can most likely find a course in your target country, if you have one. Oftentimes, TEFL courses overseas are less expensive than those in the U.S., U.K. or other English-speaking countries. While I strongly believe that an on-site, hands-on certificate program is the best option for most people, I also recognize that this is not the right option for everyone. And there are some very strong online programs offering teaching certificates. You can get a valuable education as well as a TESOL certificate to further your teaching career through online courses. Native speakers of English or those with a very high level of proficiency in English. Those with at least some teaching experience. Those who want to become teachers or become certified, but do not have the resources (time or finances) to study at an on-site location. Many potential employers prefer that you have some teaching experience; although some places will overlook this if you are a native English speaker. Teaching practice gives you the opportunity to see if this really is what you want to do. You can get immediate feedback from a supervising teacher. These shortcomings of an online program should not present a problem for you if you are currently teaching or already have some teaching experience. You can also study for your MATESOL (Master of Arts in Teaching English to Speakers of Other Languages) online. Of course, this will take longer than a certificate. A master's degree in the field will certainly open more doors for you, and will most likely increase your pay in some settings. Interestingly, I have had a few recent graduates with a MATESOL write to me saying that although they had their degree in hand, they did not know HOW to teach an ESL class. The practicum component was obviously missing in their programs. For those who have the time, desire, and resources, a MATESOL combined with a TEFL certificate and experience should prepare you as a teacher and should open more doors, but this is not a guarantee. If you have been looking into a TESOL certificate, you have undoubtedly come across the CELTA certificate vs. TEFL certificate or CELTA vs. TESL issue. The question usually is "which is better, CELTA or TEFL/TESL?" If you are trying to decide between which certification to pursue, see my TEFL or CELTA page for help in deciding which is best for you. 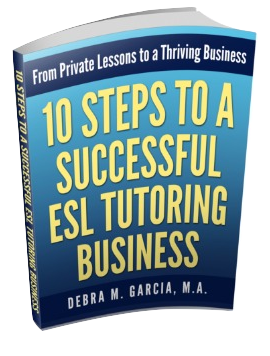 I have personally consulted with a number of people wanting to teach ESL in the U.S. (my home country). Their situations have ranged from career changers with no teaching or ESL experience to those who have completed a TESL certification course, but still felt they were not prepared to teach. It is true that some programs are better than others and some will prepare you better than others. Some may be heavy on theory and pedagogy, but not provide you with enough of the "how to" of teaching an ESL/EFL class. However, I have also found that some people, even with the best practical teacher training, are still afraid to take that first step and get in front of a class or sit across from an English language learner and deliver a lesson. My best advice is to just do it. You may stumble at first. You may be very nervous. But you will never conquer this fear until you just start teaching. If you have the training provided by a good TESL program, and you are fluent in English, then you ARE prepared. Just do it.